Annual salary range: incumbent salary is $240,000, compensation would be DOQ. The City offers a highly competitive benefit package. The City of Carson was incorporated in 1968 and is the youngest municipality in the South Bay region of Metropolitan Los Angeles. The City spans approximately 20 square miles and has vast City-owned open space ripe with opportunity growth and new development. With a population of approximately 100,000, Carson has grown from an agricultural and industrial area to a bustling, vibrant, diverse city. 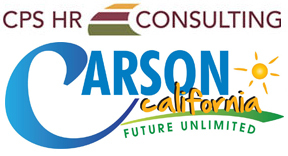 The City Manager is the Chief Executive Officer of the City, responsible for planning, directing, and managing all activities and operations of the City of Carson, ensuring that all public services are delivered in an efficient and effective manner. The City Manager is responsible for coordinating City activities with other agencies and organizations; facilitating the development and implementation of City goals and objectives; implementing policy decisions made by the City Council; and providing highly complex administrative support to the City Council. The Office of the City Manager is responsible for a wide range of activities, including managing and directing budget and operations, facilities and asset management, public safety, economic development initiatives, legislative analysis, intergovernmental relations, grant administration, employee relations and strategic planning. The ideal candidate will be a visionary, strategic and high-energy leader who can work with city council, staff, and key stakeholders to achieve economic growth and improve quality of life for the community. The successful candidate will have well-rounded skills in all facets of public sector governance, a proven track record in successful community development, and a solid financial acumen. The ideal candidate leads by setting a positive example of being proactive and organized; provides clear and consistent direction and can assess talent, mentor and develop a team-oriented working environment. Excellent communication and interpersonal skills are required to manage the City as it moves to improve its infrastructure, promote new and upscale business ventures, and build and maintain effective and collaborative relationships with regional and national business partners. A Bachelor’s degree in public administration, business, or related subject and a minimum of ten (10) years of administrative and executive experience in public sector employment is required. An advanced degree preferred. Some private sector business experience is ideal. The City of Carson is an equal opportunity employer.